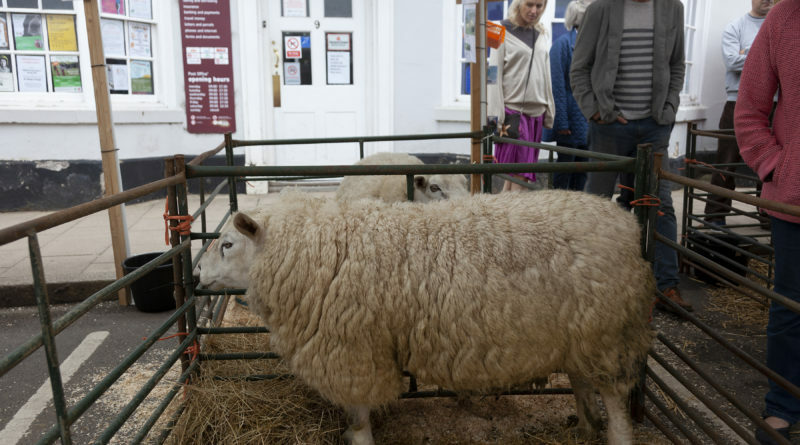 The 10th Shipston Wool Fair (in modern times) took place over the bank holiday weekend, along with an early May event to celebrate 10 years at Lower Clopton Farm Shop. On the Saturday the Arts and Crafts Market was put on by the Shipston-on-Stour Totally Locally group, with a Shipston Rotary Community Songs of Praise at St. Edmunds Church, Shipston on Sunday afternoon. Around the town where lots of knitted adornments affixed to lampposts and bollards along with Pedro and Roseanna at their knitted table on the high street. Also, this year was a knitathon starting at 5:45am and going on until 3:45pm, taking place in the White Bear pub. Wool to name but a few. seeing this skilled event in front of them. This was using the Bowen method which came over in the 50s/60s from New Zealand and is used to finish off with a complete fleece. The wide array of stalls included the Shipston-on-Stour Young Farmers, Statford Guild of Weavers, Spinners & Dyers, Totally Locally Shipston, Shipston Proms along with craft stalls from companies such as Baavet, Little Bird Soap, Shipston Beekeepers and ChocolateGenie exciting the children with live demonstrations. In the Meet the Sheep arena Ed Noble introduced the crowds to different rare breed sheep including Blue Face Leicester, Cotswold, Portland and Leicester Longwool. 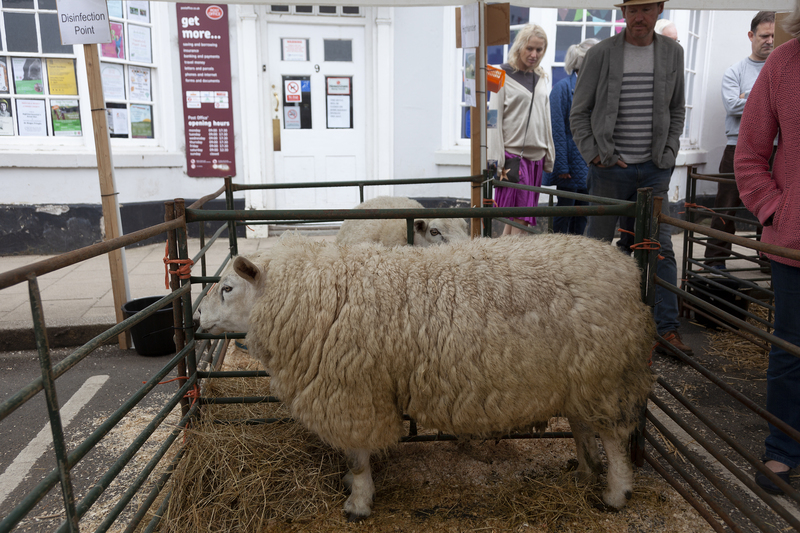 This included the Cotswold sheep from Event Patron Rob Harvey-Long, who has attended all 10 events to date, and whose wool is exported to 5 continents and 20 countries. On the music stage, we were entertained by The Shipston Brass Band, The Pavillionaires (a U3A Jazz band), Clarksville (a local acoustic band), the Shipston High School Jazz band (led by Head of Music David Hunt) with vocals by Kathryn Packer and The Porter Family (led by long-time Shipston Proms organiser Tim Porter). A couple of Fordson tractors were also on display which were enjoyed by both young and old. A good day was had by lots of Shipston locals as well as visitors who enjoyed the day. The 11th Shipston Wool Fair will take place on the Bank Holiday at the end of May 2019, under the leadership of Bob Armstrong and his team. Next up in Shipston is the 20th edition of the Shipston Proms taking place from Friday 15th to Saturday 30th June.